Okay so this may sound odd I am not sure if anyone has attempted to do this but let's see where it goes. 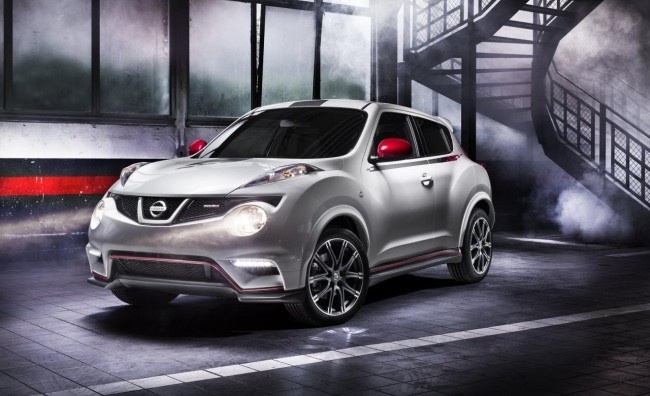 I own a juke nismo and I want to convert the LED day time lights to fog lamps. Basically I want to see if I can switch out the signal switch on the steering column with one that has the fog lamp switch and wire my DRL LEDs to the fog lamp switch. Do you guys think that this is possible and how hard would it be to do? Clarify something for me? So would you be eliminating the day time lights completley or just switching places ? I do not know about Canada but I'm almost positive here in US Federal law mandates the day time lights work whenever the headlights are not? Why do you want to switch them? Does the nismo even come with fogs? If its the same wiring harness as the stock juke all I would think you would have to do is install a new stalk and the. Tap the wires from the DRL to the fog light harness, then all should be good. If it were me, I'd want the nismo drls on all the time, regardless. You don't have to have day time lights in Alberta. Yeah that's what I'm trying to do. The nismo stock has lower led day time lights which I want on all the time. The issue is when you turn on the headlights the led drl turn off and there is no way to turn then on. I was thinking of taking the stock signal switch from an SV model as that will have the fog light option but I'm not sure if I can connect the led drl to that switch. OK copper , try to identify the drl relay on the fuse box(engine bay) then test for voltage(volt meter) without the relay and the car on.identify which is giving the mainpower then turn on the headlight and look for change on voltage which open the relay and give the off position when lights are on after that and everything double check. buy a similar relay and cut off the leg that give the off command. enjoy drl on all time. That would be the cheaper/easier way, but would mean they would always be on when the ign is on. Why do you want them on all the time? I always find it annoying how people run their fog lights all the time, especially bright ones. I will give this a try. Thank you for you help!